Though I do read books via my iPad, and “read” via my ears on my daily commute via Audible.com, there is something so intimate and sensory fulfilling in reading a book with paper pages and ink text. 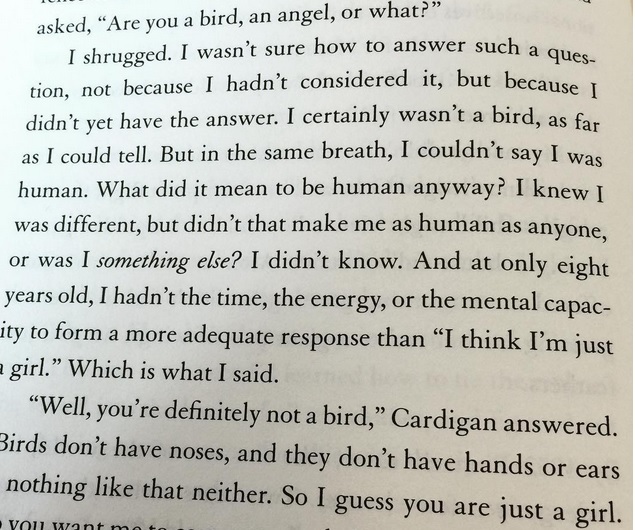 I’ve taken to snapping pictures of pages I’m on while reading, and I would love if more people did the same. 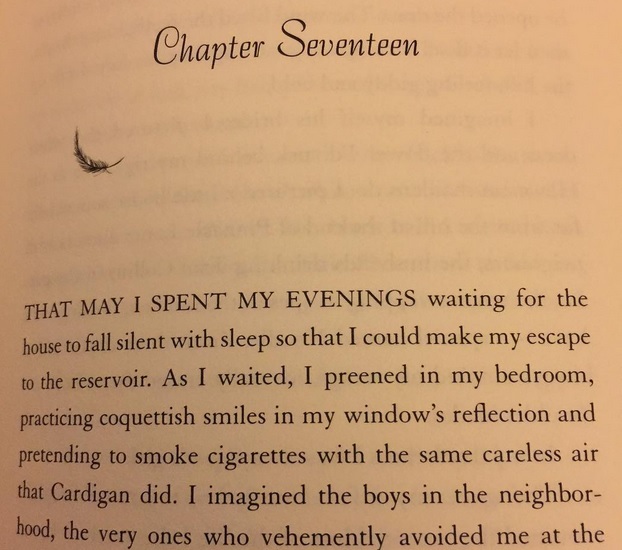 I’d love to see what everyone is reading right now from books bought at a local bookstore, borrowed from a friend, or checked-out at the library (the photos are from a borrowed copy of The Strange and Beautiful Sorrows of Ava Lavender by Leslye Walton). 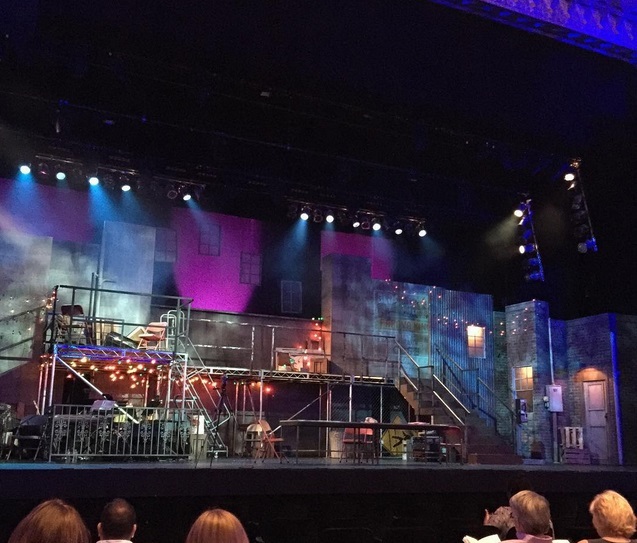 This week I had the chance to catch Plan-B Entertainment’s great production of a favorite musical of mine, Rent, at the Saban Theater in Beverly Hills. 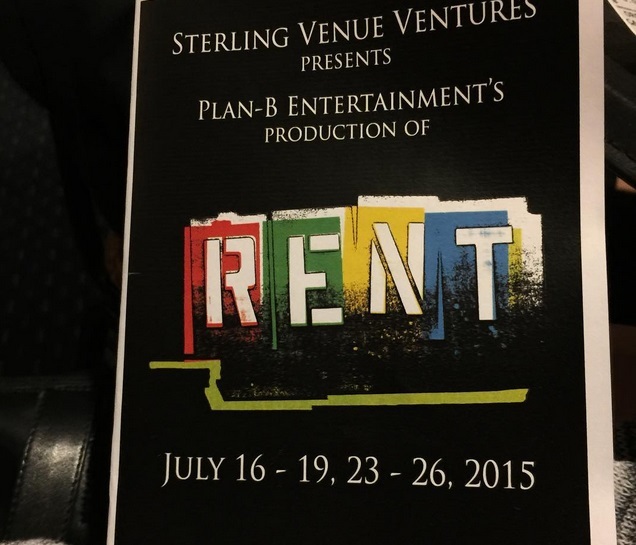 The cast was brilliant, especially the actors playing Mark (Andrew Wade) and Roger (Jonah Ho ‘Okano). The theater was relatively small, our seats were great, and the tickets were no more than a movie ticket would be, which made spending a Wednesday evening with live theater even better (I’d love to see more from this production team). I’ve been on an Eurythmics kick this weekend, playing a few of their albums while I read my current book and one of my magazine subscriptions. I took a break to watch some of their classic videos, too, like the one above (can you name some of the cameos from some of the 80’s musical celebrities in the video? I spy Bananarama and Marilyn), and below (why the creepy ventriloquist dummy?). Oh my stars, Annie Lennox is so stunning. I was apprehensive as it is an MTV show (though I did enjoy the first season of Awkward), and sometimes TV versions of movies/movie franchises are lackluster, but this one is a fun ride. Full of satire and Meta moments, as the movies were, and clever in its writing and pacing, this one was a happy surprise. Fits perfect in that hot Summer nights when horror (especially of the campy variety) just feels like the great choice, reminiscent of Summer vacation sleepovers or trips to the drive-in. Tuesdays and Thursdays are Podcast days during my commute back-and-forth from work, and I have quite a variety that I choose from, some weekly favorites, and others ones I will check-in with monthly. 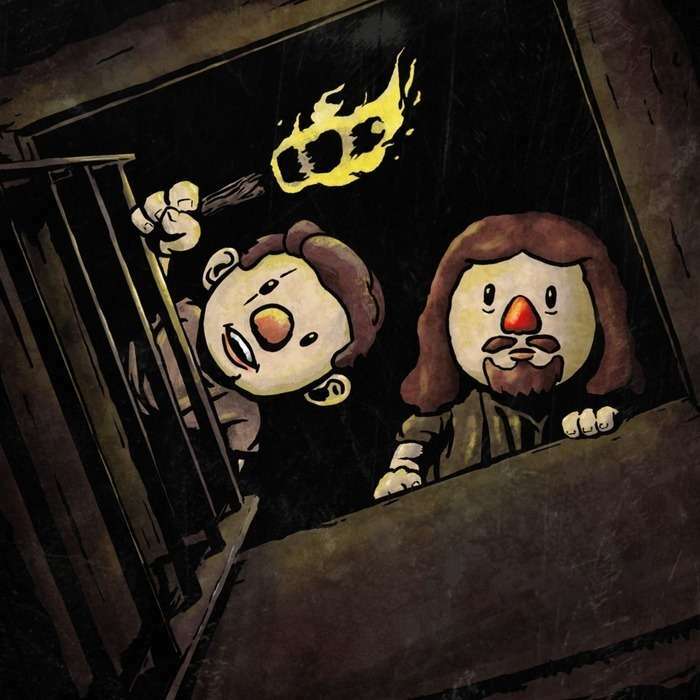 A new discovery coincides with my own TV re-watch – the LOST Re-watch Podcast. I’m enjoying the banter and the differing views, especially when someone on their panel is watching for the first time; the whole experience is like doing a re-watch with other people, something that a re-watch generally doesn’t provide. 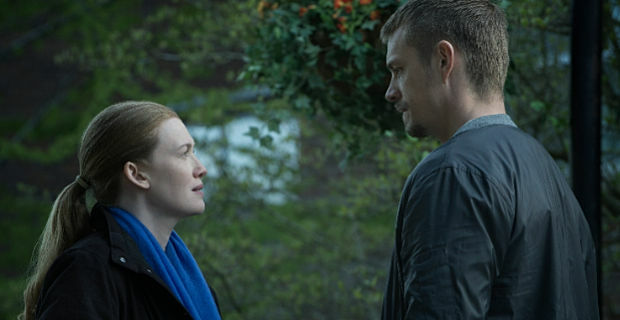 The Killing has been my weekly show for months and months now, something I look forward to every Thursday afternoon on my lunch hour. It is coming to a close as I find myself in the midst of the significantly shorter Season 1. I’m going to be so sad when it finishes, and I am going to miss Holder and Linden so much. 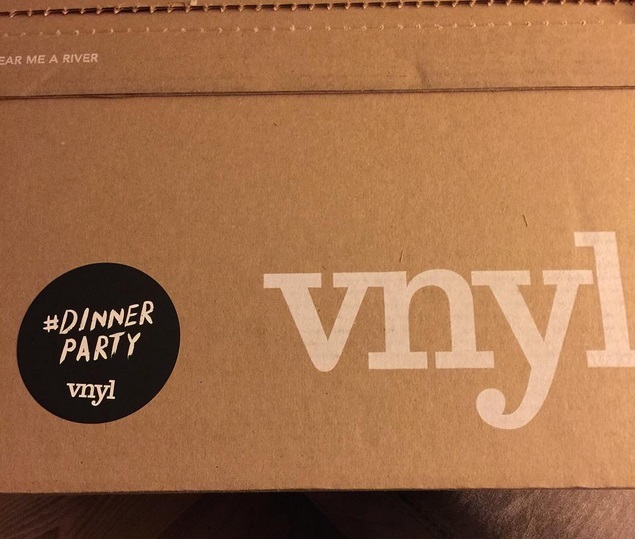 I signed-up for vnyl, a monthly vinyl record subscription, after a co-worker of mine tried it out and loved it. It is awesome, and so much fun, getting three hand curated albums in the mail every month. 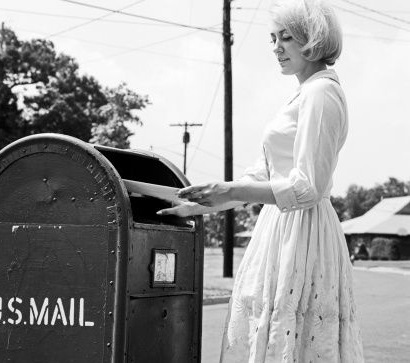 You sign up and give them links to some of your social media (including discogs, where you can catalog your entire vinyl collection), answer some questions about your music taste, and each month your three albums are chosen with your taste and collection in mind (oh, and you get to pick a new theme, called a “vibe”, every month, too). 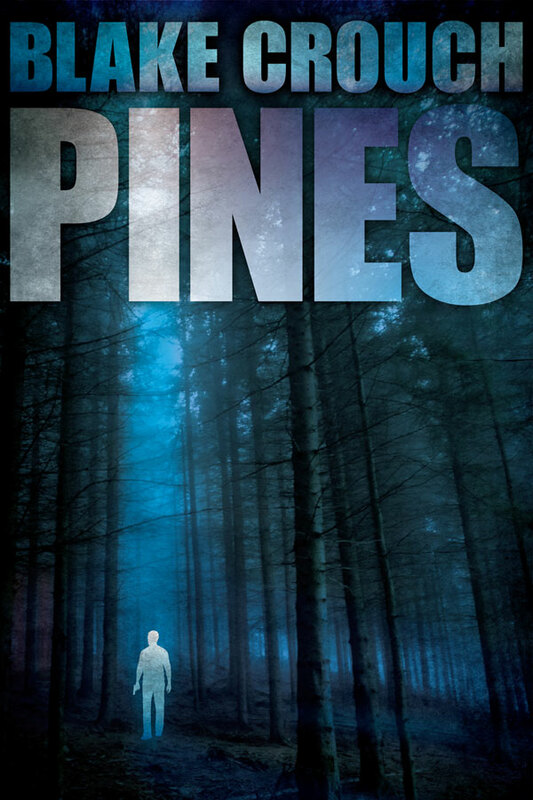 I was enjoying the Summer event series, Wayward Pines (that is until the finale – ugh) and thought I’d start listening to the audio books. So far, I’m enjoying the first book and will probably listen to the other three. Although there is no mystery now that I’ve seen the show, I’m enjoying the writing style and the pacing, and the way they are unfolding the reveals. This is my most played song this week, by far. 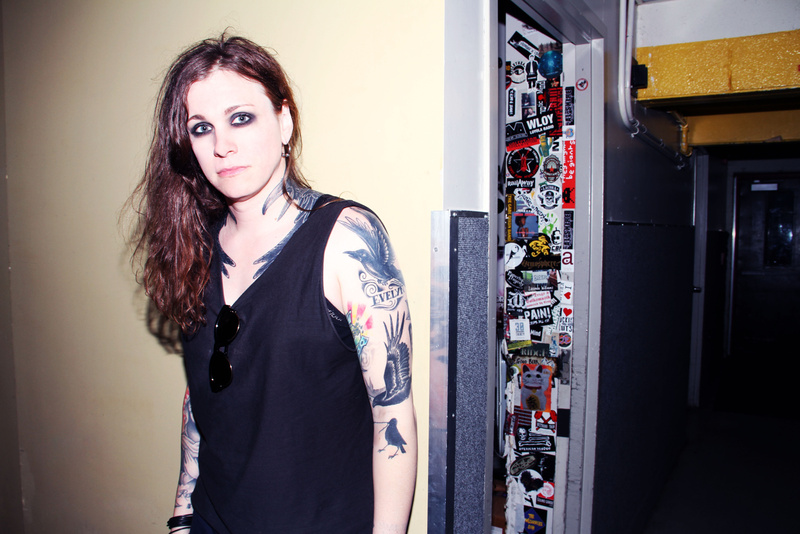 It’s been a favorite for a long time, but I hadn’t listened to it, or the New Wave album in awhile, but after listening to a Nerdist Podcast interview with Laura Jane Grace I got in the mood. I love Tegan (from Tegan and Sara) in this song, too – such a fantastic duet. Because this made me laugh! Ha! Living with Jigsaw made me laugh out loud. I just sent it to two friends. Thanks for that! Sometimes I take photos of book pages too but I also, now this is lame, will take a picture of the Kindle page I’m on. I like the page pictures. You should definitely keep doing them. I love that instagram photo up on the side of your blog, the sunlight is perfect. I’m about to do a post on recently read books. I wish I’d taken a photo from each one. Right now I’m reading Shania Twain’s memoir & she talks a little about what to share and what not to share–in the area of what we were discussing via comments earlier. I recently finished: The Longest Way home(Andrew McCarthy’s travel memoir), Heidi, The Secret Garden, Z for Zachariah and My Side of the Mountain. I liked the opening of the first episode of Scream but that’s all I saw but I’ve meant to finish the episode. I’m much more thrilled reading your positive remarks on it. You’re coming to the end of The Killing, say it isn’t so! My friend got a Lost tattoo a few months ago. I was hoping you’d enjoy the “Living with Jigsaw”! I found it randomly and laughed A LOT – and have been showing it to people ever since. I can’t thank you enough for introducing me to The Killing! That sad, I’m already torn up and shattered that VERY SOON I won’t have my weekly dose of Sarah and Holder (especially Holder! Swoon!) I LOVE the show! Those are some interesting books! I feel like I read My Side of the Mountain – what was it about? I’d like to read Andrew McCarthy’s travel memoir – is it good? Thanks for your comments!!! 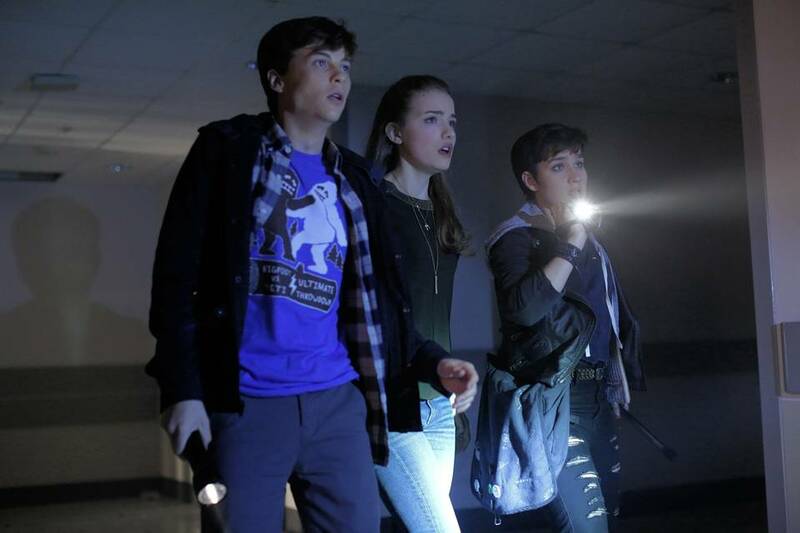 And yes, I think you’d enjoy Scream – its good cheesy Summertime horror fare! Too bad Joel Kinnaman isn’t another on series. How many episodes do you have left to go? My Side of the Mountain is about a boy who runs away from his home in NYC to live in the Catskills alone & off the land. I read it in elementary school. It was a special book and I always wanted to re-read it so I grabbed a copy recently and it’s still GREAT. Andrew McCarthy’s book is phenomenal. No exaggeration. His writing is so precise and vivid it’s insane and impressive. The memoir covers his travels to several spots around the world and as is as much a love letter to travel as it is an inspection of his own introversion and reluctance to marry his fiance though their wedding is coming up. Over the course of the book he explores his relationship with her and what it means to feel at home and with who. It was very interesting, made me want to travel asap and had such a lovely ending. Highly recommend reading it. I clearly can’t say enough good things about it! I’ll let you know when I get to Scream, I think the episodes are available On Demand so I better get to it before they’re gone. I’m down for some good cheesy Summertime horror! Ah, yes, I have read My Side of the Mountain – years ago – I may have to find a copy to re-read, too. I DEFINITELY want to get Andrew McCarthy’s book. I wonder if it is on audio book. I really love listening to the Non-Fiction/Bios/Autobios/Memoirs on my commute to/from work, especially if they are narrated by the authors. Thanks for the book recs!